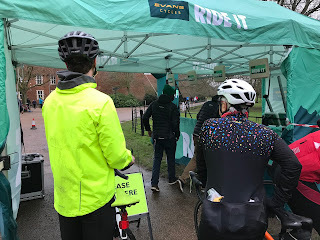 On Sunday 28th January 2018 - which now seems like ages ago - I took part in an event that I have done a few times before. As the blog title has already given it away, it was the Evans Cycles, West London Sportive which is part of their series of 'RideIt' Events. 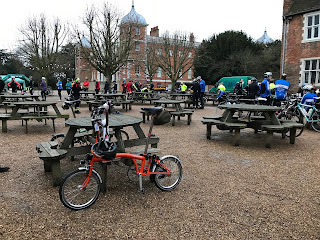 I had decided long in advance that I would we be completing this ride on my Orange Brompton, so I packed the car nice and early and made my way to the event start point at Osterley Park. I thought I would be riding alone but Dr John and Peter (from the Tweed Run a few year ago) were also riding so I would have some company. (More on that later). After signing in I saw that Peter and not long after Dr John had both arrived. 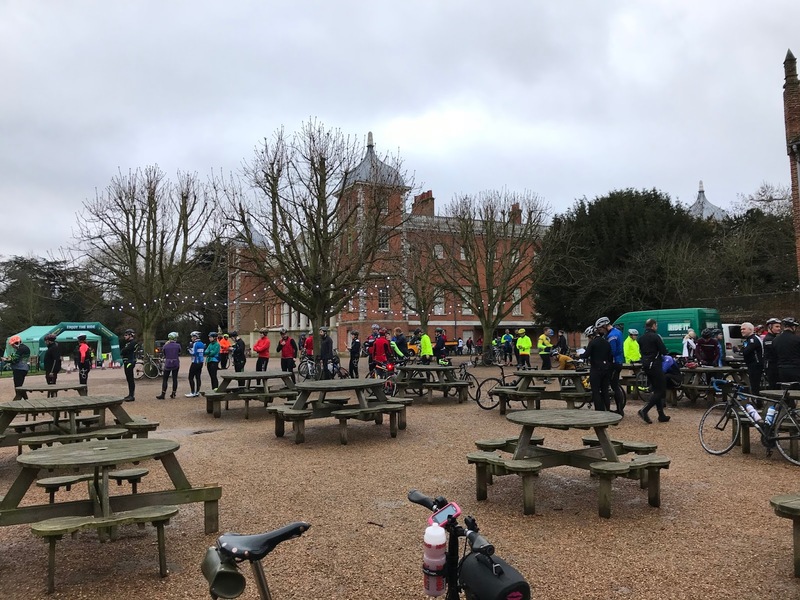 There were of course lots of other participants who were mainly on road bikes or hybrids. There were no other Brompton bicycles as far as I could see. Making my way to the start line I managed to get going in the first wave at 08:30. A few inpatient participants questioned why they could not just go. A patient Evans Cycles employee pointed out that the computer that number crunched the timing chips stuck to the side of our helmets would not work until 08:30 had arrived. After a brief safety talk we were off, well sort of. We waited a bit for Dr John and then we cycled off. 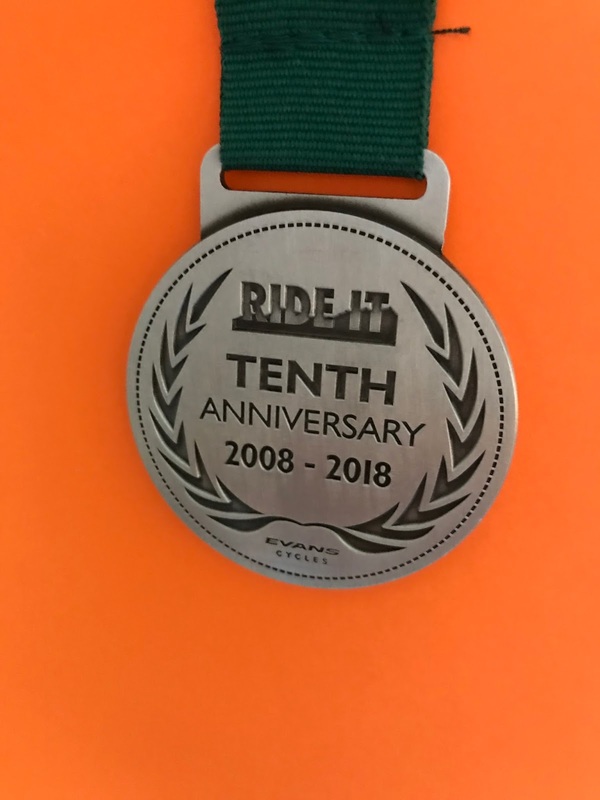 I had signed up for the medium route but knew that I could not devote the extra time needed to complete it so I decided that the 42 miles of the short route would be a much better fit. After a few miles we started to thin out and Dr John who had got stuck at the lights was a little behind. 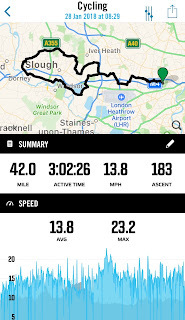 Sadly there came a point in the route (far too early I have to report) where the short route - 42 miles - broke with the medium one that Peter and Dr John were doing. I said my goodbyes to Peter and proceeded on the short route. Dr John was some way back so I didn't get a chance to say my goodbyes. It transpired that Dr John saw me take the short route but not Peter. He then proceeded to take the short route unbeknown to me. 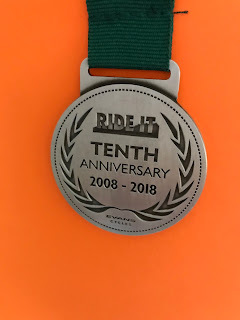 There were a few other riders also on the short route. 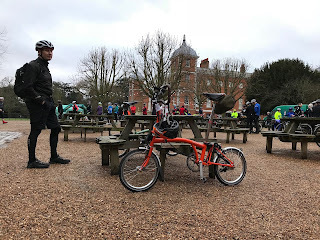 I cycled for a good few miles with a cyclist on a road bike and chatted about our favourite cycling routes and how on a Brompton I had done all sorts of crazy rides. 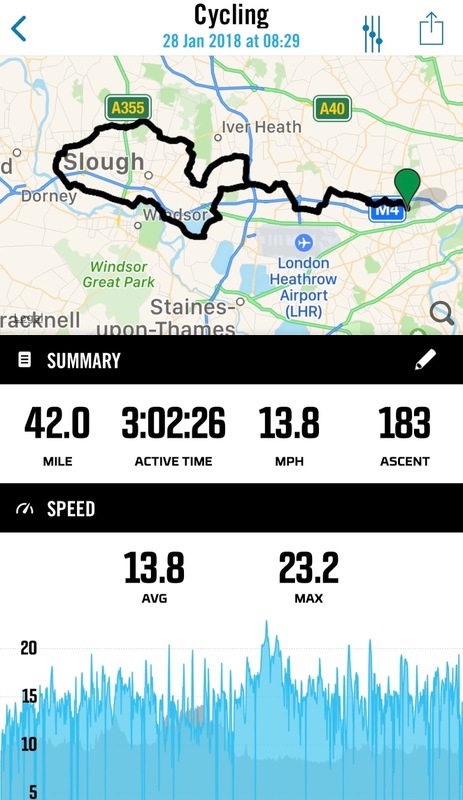 I was cycling at a good pace bur after about 20 minutes she said her goodbyes, upped the cadence and was soon all I could see of her was the black and pink of her Rapha jersey. 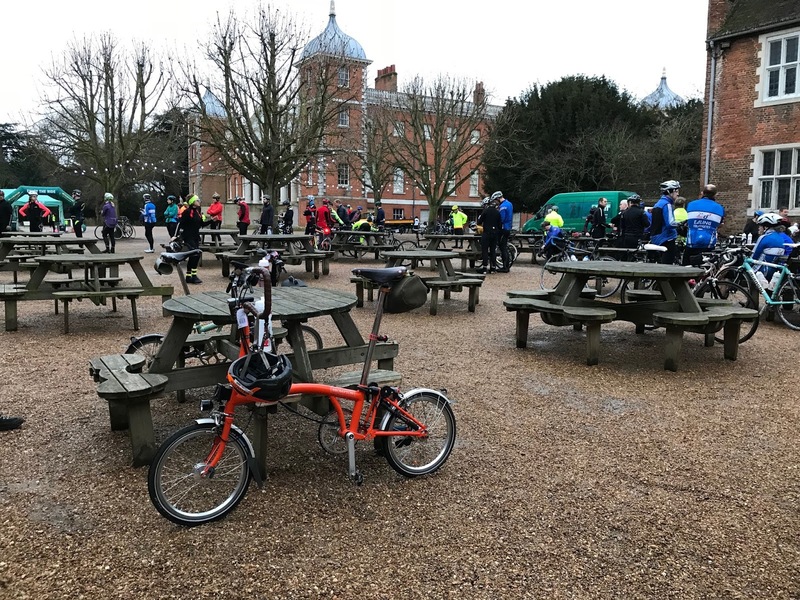 Many participants commented on how they were surprised I was attempting this event on a Brompton and also that it could keep up and in many instances overtake larger wheeled bicycles. It was nice to be the small wheeled ambassador for the day. The halfway point was very welcome as I had not taken any fuel with me. 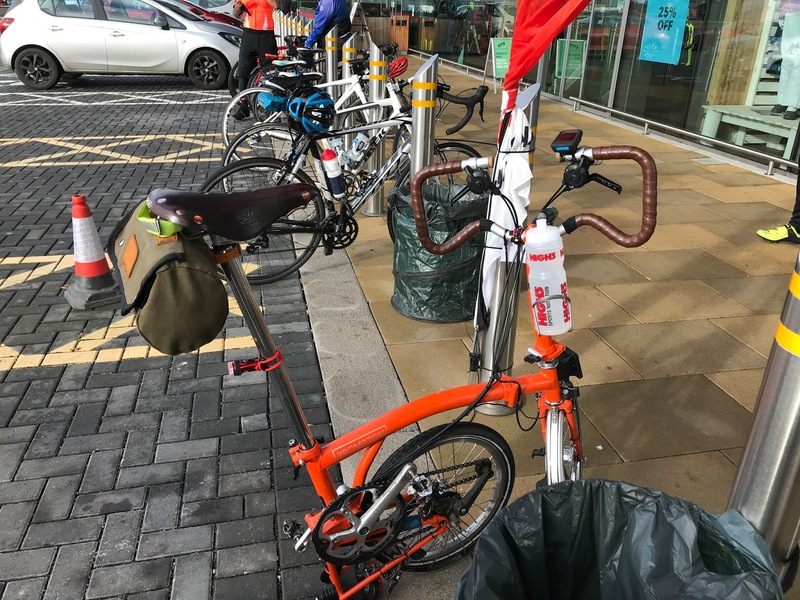 One of the members of Evans staff recognised me (probably the Orange Brompton I should say) and we chatted about my other friends also participating at the event. With some generous slices of cake, a few sweets and some water I was off for the last part of ride. The route was signposted but I paid no attention to it. I had loaded the route on to my Wahoo Bolt. This route I had with the turn by turn directions enabled and one where your simply follow a line on a map. I opted for the latter as I had been very keen to try it out. I have to report again that it was faultless in helping me to navigate round the route. The Wahoo Elemnt and Bolt are in my opinion make the Garmin devices I have used over the year feel like amateur hour. The Wahoo devices refresh quicker, load routes from your phone or computer almost in an instance and I have yet to have either crash or not do what it is meant to do. The route was okay but not the most picturesque and as such I felt little compulsion to take any photos. 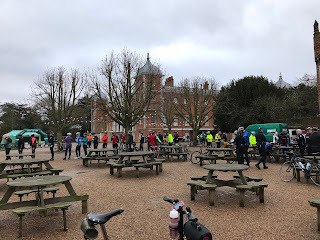 With 40 miles coming up I know that there was little more to go and entering Osterley Park I crossed through the start/finish line and was handed a medal. 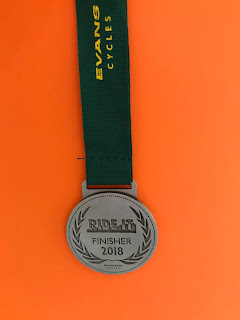 Regular readers will know that I like a medal so I was rather pleased. Brompton Boys Badlands and Box Hill Bicycle bash!